In July I discovered a delicious wine. Soft, well balanced with notes of cherry and plum that dance along the palate in a smooth velvet line. Indeed. The best part? This wine is not only delicious, it’s a steal at $7.95. Now I hear your skepticism but I kid you not. This wine is tasty. Almost as if it’s been priced wrong or something. In any case, you need to try it. The wine I’m waxing poetic about? Well it’s the Fuzion Shiraz Malbec. But this wine’s nose and drinkableness – it’s not what I’m here to write about. At least not directly. No, you see what I want to tell you is that the secret about this wine is out. And now it’s almost impossible to find on the shelves at the LCBO. It would seem everyone knows how tasty this wine is and everyone is buying it up. Bottle after bottle. Ask an LCBO employee about when the next shipment is in, and all you get is a shrug and a story about how five cases came in the other day and sold in hours. 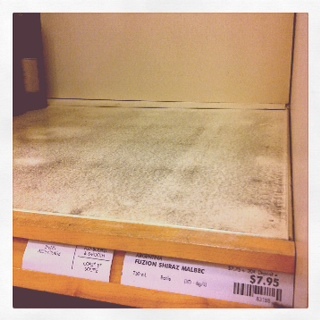 As luck would have it, the LCBO on March Road was stocked this past weekend. So I grabbed two bottles. Yes! Double fist-pump. I’m stocked for now…but do me a favour. The next time you stroll into your local LCBO (or other store of the like), swing by the Argentinian section. 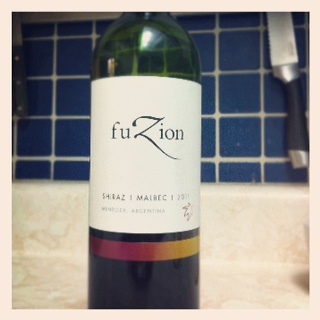 If you see the Fuzion Shiraz Malbec lining the shelves, pick up a bottle. Then tweet me to say it’s in stock!